Osama: Gandhi with a Gun! Osama bin Laden and Mahatma Gandhi are two people that lie at the extreme ends of the human spectrum; yet they share in common with each other more than anyone can probably imagine. If there is good in this world then there has to be evil; if there is God then there has to be Satan; for every positive there has to be a negative force somewhere, such has been the nature of this world and Osama and the Mahatma fit the bill perfectly. At the outset let me make it clear that my post is not about taking a stand or making judgements on the individuals I mention here because history has a very biased way of treating its heroes and villains, only the winners usually get to narrate their side of the story. 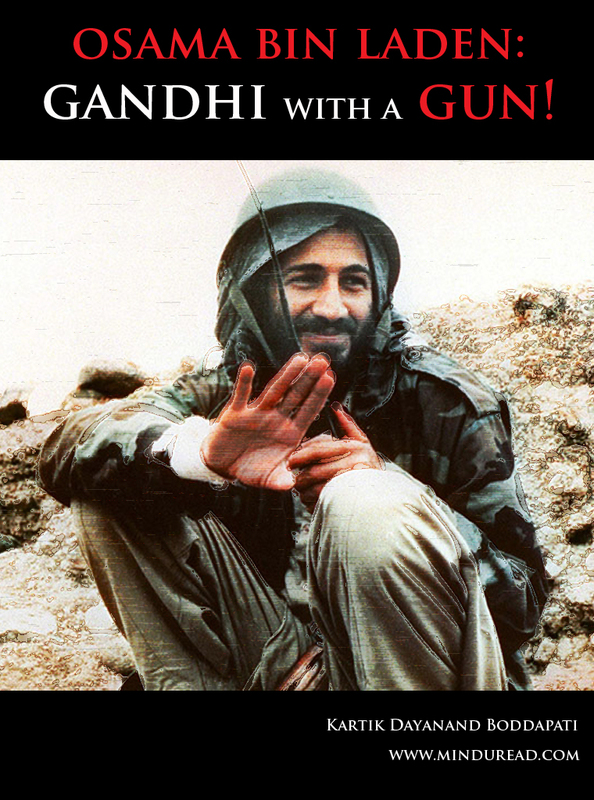 For all the good that Gandhi has done, finally he met his end because someone pumped a bullet into his heart and on that same note we have an Osama who has people willing to take a bullet to fulfil his ideology. Who can say for sure that one is right and the other is not.